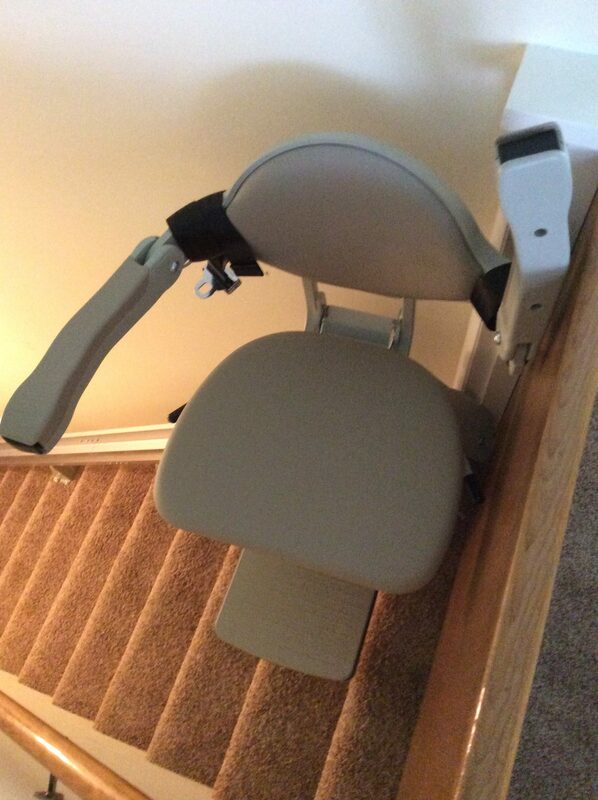 At MediEquip we have installed many stairlifts over the past 19 years. Each staircase can present different challenges. 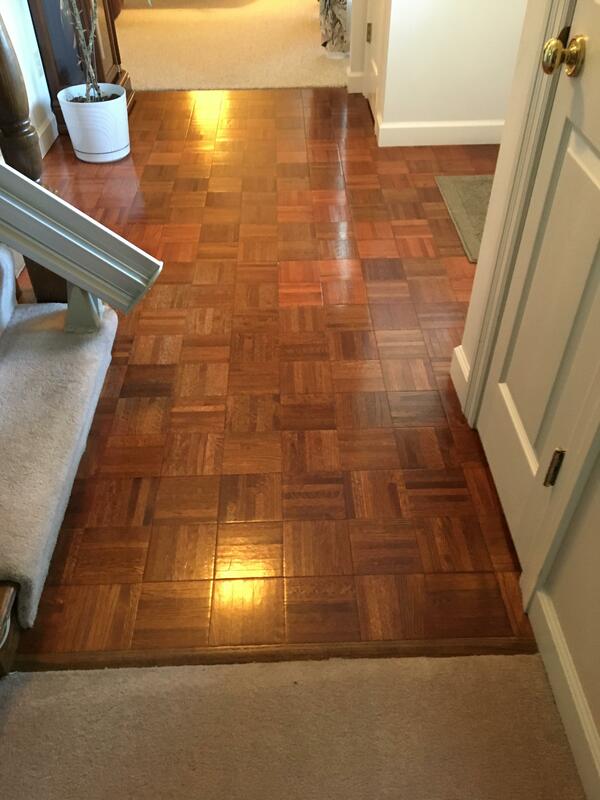 Here are some pictures of commonly faced obstacles, and possible solutions available. Should your obstacle not be pictured, please feel free to contact a representative. 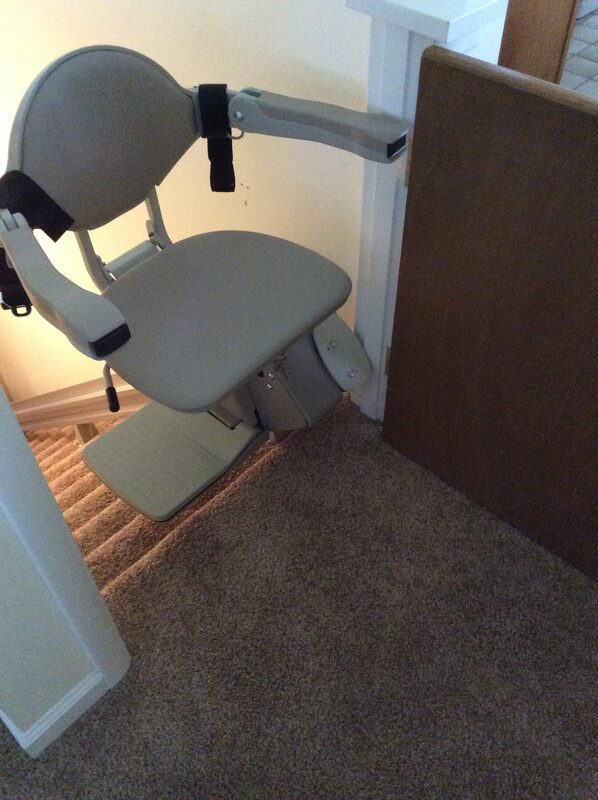 As pictured, a stairlift rail extends approxiametly 14″ away from the bottom step. 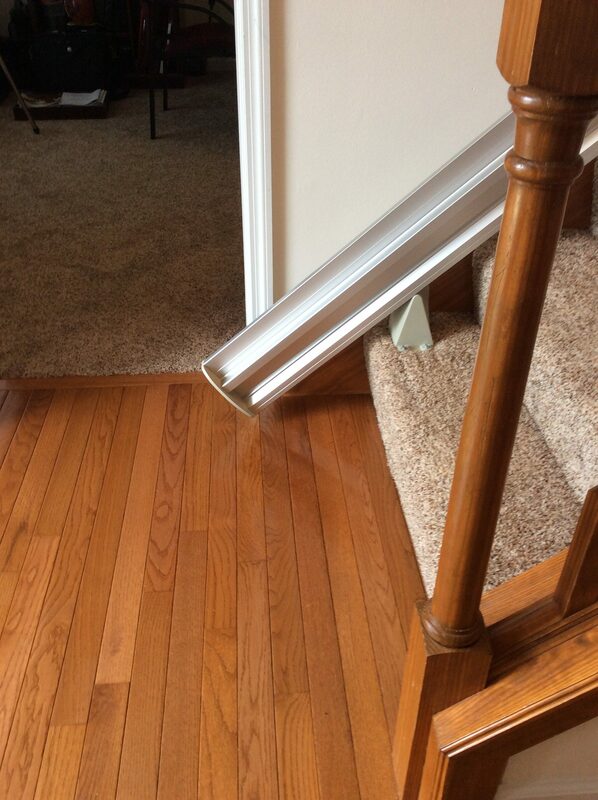 Often times, the length of this rail can protrude into a walkway and be a trip hazard, or prevent a door from being opened. 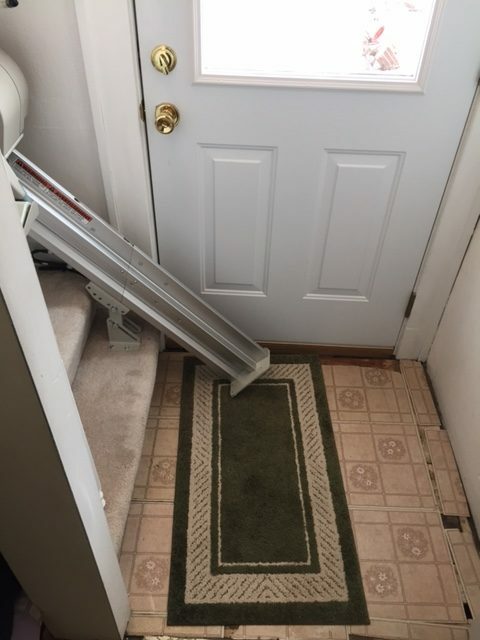 Our experienced installers have run into many different doorway situations. One option they have deemed the One Step Cut. This is when the rail is cut slightly shorter to avoid any undo trip hazard or traffic flow impedement. This option does raise the floor to seat height by approxiametly 8″. See pictures below and call and talk to one of our representatives to see if this is a good option for you. 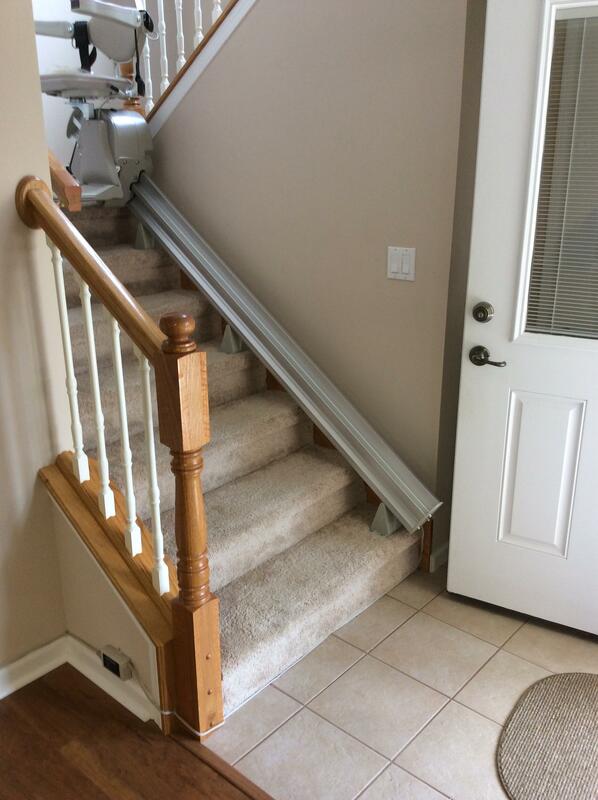 Folding Rails are available for straight stairlifts only, and require that your electrical outlet be within 10′ of the top of the stairs. Folding rails are an additional cost and the specific side must be designated when ordering. A manual folding rail should only be utilized when there will always be another person available to raise and lower the end piece. 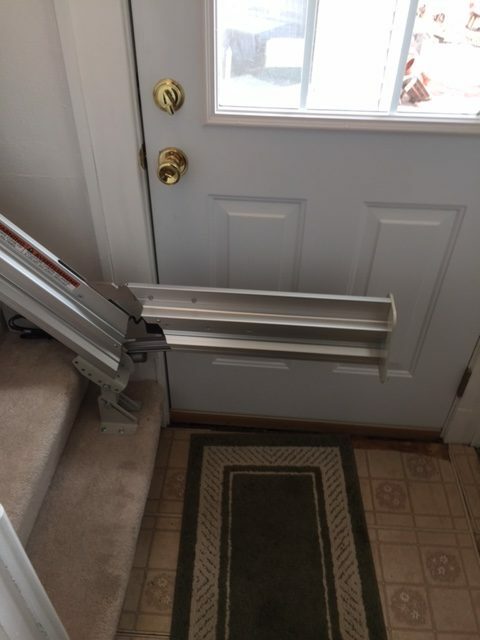 The lifting of the rail requires an individual to be able to bed and release the spring loaded hinge located at the bottom step. The weight of the section is minimal. A power folding rail is often used when an individual might find themselves alone, and need the rail to be lowered or raised automatically, without the attendance of someone else, in case of an emergency. 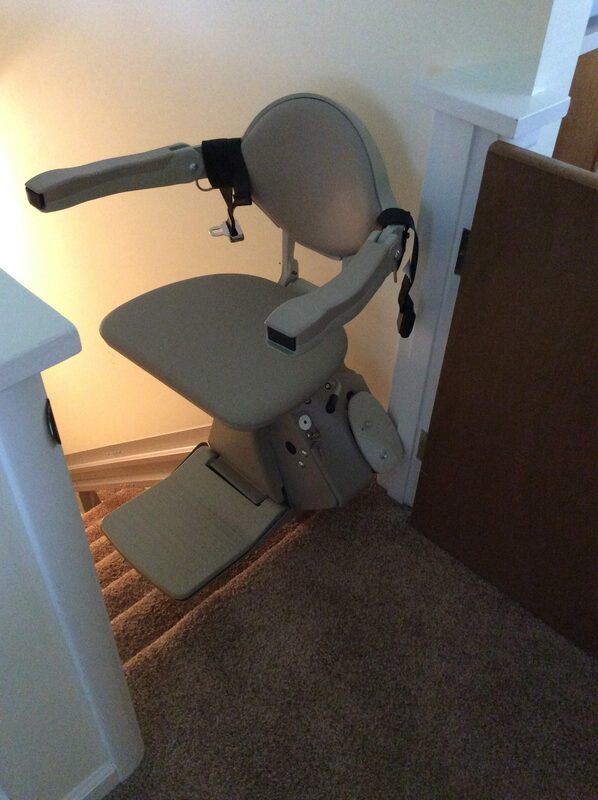 For the most part, doors can still be closed after a stair lift is installed. 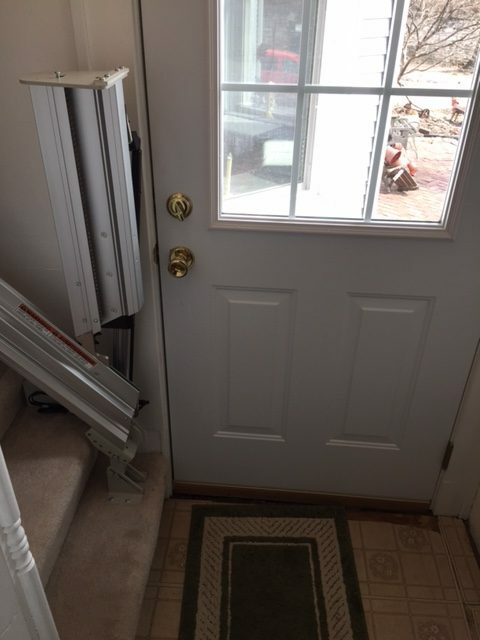 Our installers stop the rail before the door jam, which allows the door to close seperating the levels of the house. 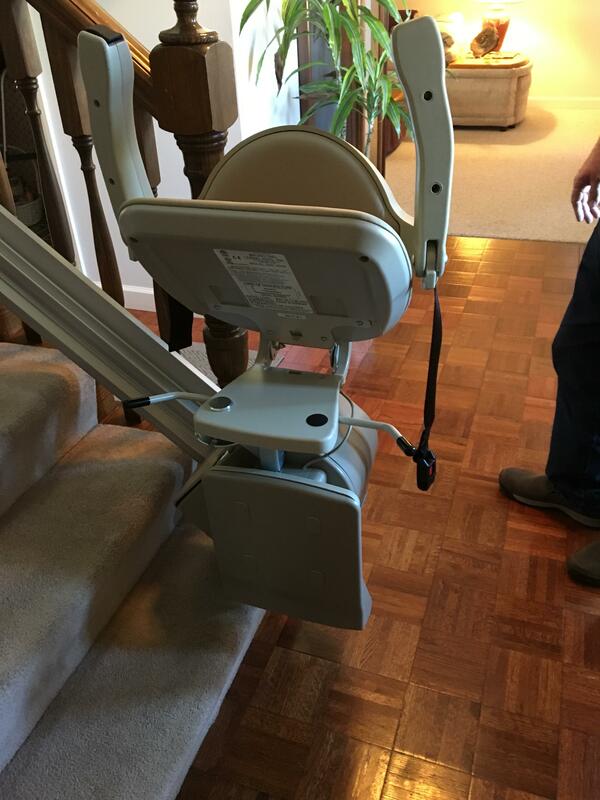 When the customer swivels the seat, their feet will be on the upper landing allowing for ease to rise safely. Remotes provided with the unit allow for the carriage to rest just below the door for immediate access. And with the Bruno charging strip located behind the rail, the batteries aar still being charged even though the seat is not at the top or the bottom of the staircase like other manufacturers.